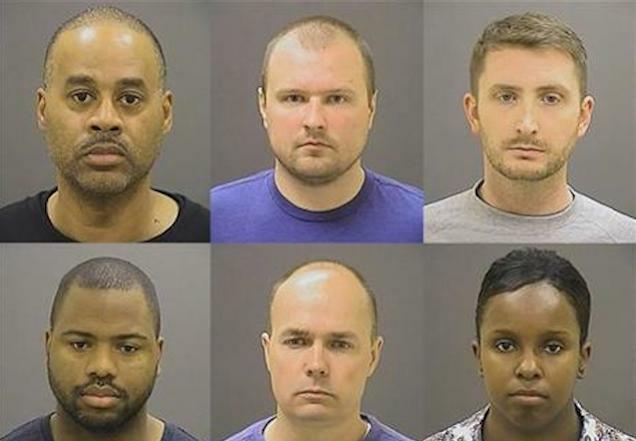 Wednesday morning, Judge Barry Williams refused to drop the charges against the six Baltimore police officers accused of being responsible for Freddie Gray’s death. Williams also denied a motion to recuse Baltimore State’s Attorney Marilyn J. Mosby from the case. The arguments largely centered around the actions of Mosby and others in her office. The dismissal motion focused on statements Mosby made while announcing the charges against the officers on May 1 at the Baltimore War Memorial. The arguments on the recusal motion focused on the role Mosby and prosecutors played in her office’s independent investigation of Gray’s death. Chief Deputy State’s Attorney Michael Schatzow argued against the dismissal and recusal motions on behalf of the prosecution as Mosby sat behind. Andrew Graham, a defense attorney for Officer Caesar R. Goodson Jr., argued for the dismissal of charges. Catherine Flynn, a defense attorney for Officer Garrett E. Miller, argued for the recusal of Mosby. The pre-trial hearing is scheduled to resume today at 2 p.m., at which time Williams will hear arguments about whether the officers should be tried together or separately. The six officers—Caesar Goodson, Alicia White, William Porter, Brian Rice, Edward Nero, and Garrett Miller—face charges ranging from second-degree murder to second-degree assault for the death of Gray, who died in police custody last April.